Happy birthday to my little guy who turns 7 today. special. Not necessarily by spending a lot of money but in creating memories together that they will always treasure. Since Travis is obsessed with hockey and, most recently, in being a goalie, today we started out by gifting him a street hockey goalie set of pads. I think it went over well and he immediately put them on to play indoor goalie. A bit large for indoors but it was a bit too wet outside to try them out properly. 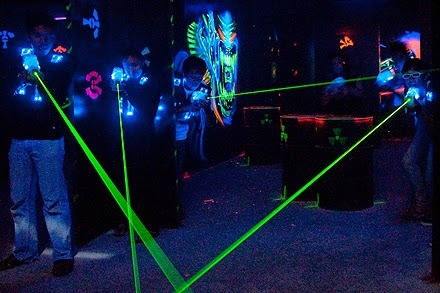 In the afternoon we headed over to Laser Quest for a birthday party with 7 of his friends. What a blast! Hubby played the first game and I played the second game. "LaserMom" totally kicked their little butts and came in first with 857 points!! (I'm not competitive at all...). It was victory especially as they all ganged up on me in there! It was fun and I earned some respect from those 6 and 7 year olds. I'm also glad that the venue gave us some 2-for-1 coupons. We're definitely going back as a family! 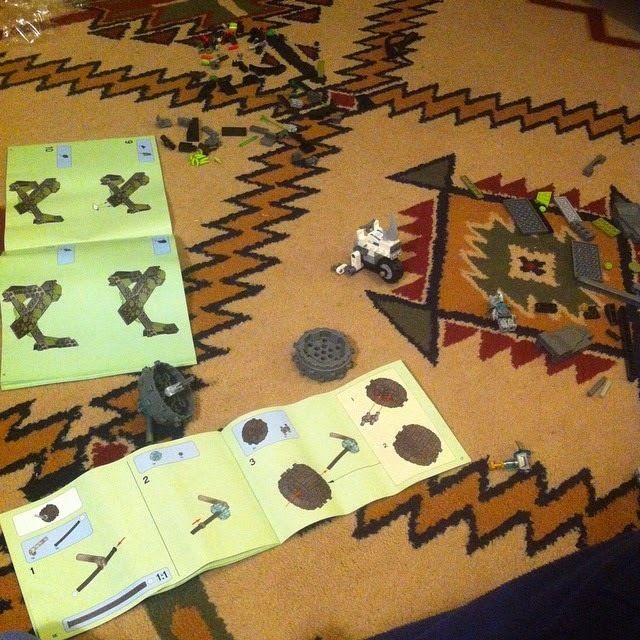 The afternoon was spent making up his Lego Chima set that he got. Happy birthday to my Travis. I hope that the day was everything you wished for and more.